The Namdapha Tiger Reserve in Arunachal Pradesh derives its name from River Namdapha originating from Daphabum, the highest peak in the sanctuary. Originally a Reserved Forest, Namdapha Tiger Reserve in Arunachal Pradesh has a dense cover of vegetation dotted with high hills, several rivers and seasonal streams in almost the entire protected area. 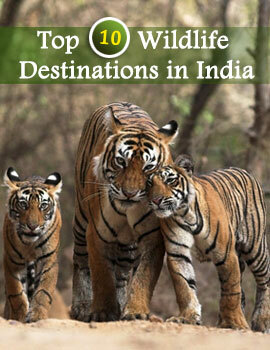 Namdapha Tiger Reserve is one of the Project Tiger Reserves in India. The prime purpose of forming the Namdapha Tiger Reserve was protection and conservation of tigers. 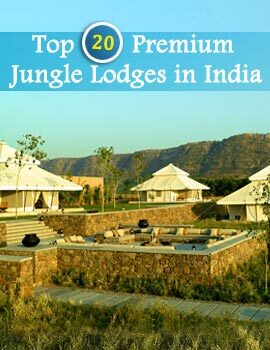 In the year 1983, the sanctuary was declared a Tiger Reserve as well as a National Park. There are a plethora of animals and birds at Namdapha Tiger Reserve . The sanctuary is home to big cats like tiger, leopard, clouded leopard and snow leopard. Hoolock Gibbon, Golden Cat, Marbled Cat, Mishmi Takin, Red Panda, Namdapha Flying Squirrel, etc are also part of the fauna existing in Namdapha Tiger Reserve in Arunachal Pradesh. The avifauna found in this sanctuary includes the White Wing Wood Duck, Namdapha Shortwing Bird, Indian hornbills, jungle fowls and pheasants. You can reach Namdapha Tiger Reserve, Arunachal Pradesh comfortably by air, rail, and road. The nearest airport is at Dibrugarh (182 km) in the state of Assam. The Tinsukia Railway Station in Assam, situated 141 km away, is the closest railhead. Miao, which is the entry point to Namdapha, is well-connected by an extensive network of roads. During your visit to the Namdapha Tiger Reserve in Arunachal Pradesh, you can enjoy a comfortable stay at the Government Tourist Lodge in nearby Miao, or at the Rest House at Namchik, or at the forest rest house at Deban in Namdapha. The best time to visit the sanctuary is between the months of December and March.